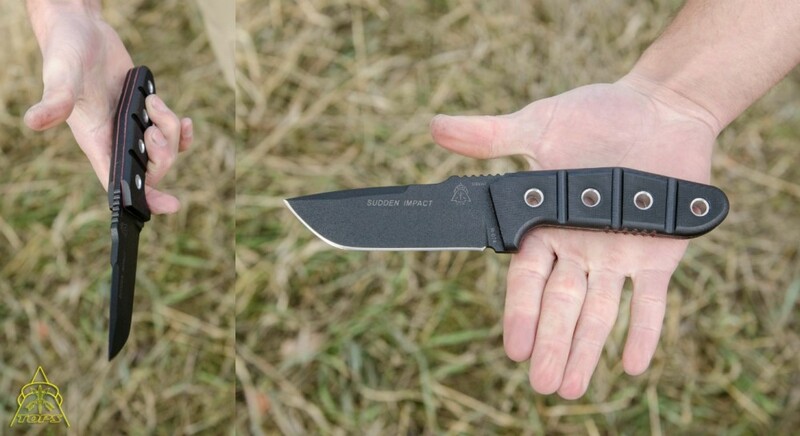 Designed by Shane Sibert, the Sudden Impact is hard-to-the-core. 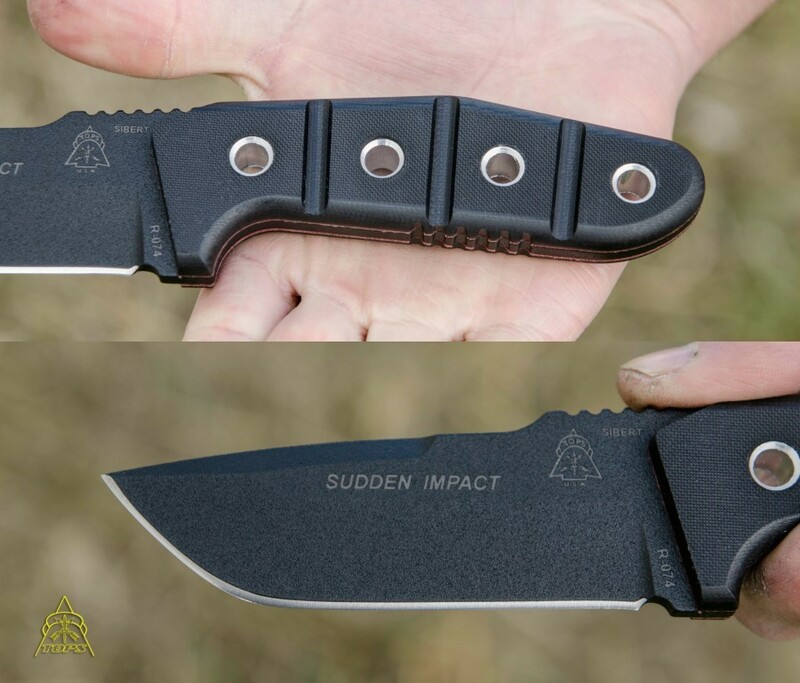 Designed by Shane Sibert, the Sudden Impact is hard-to-the-core. 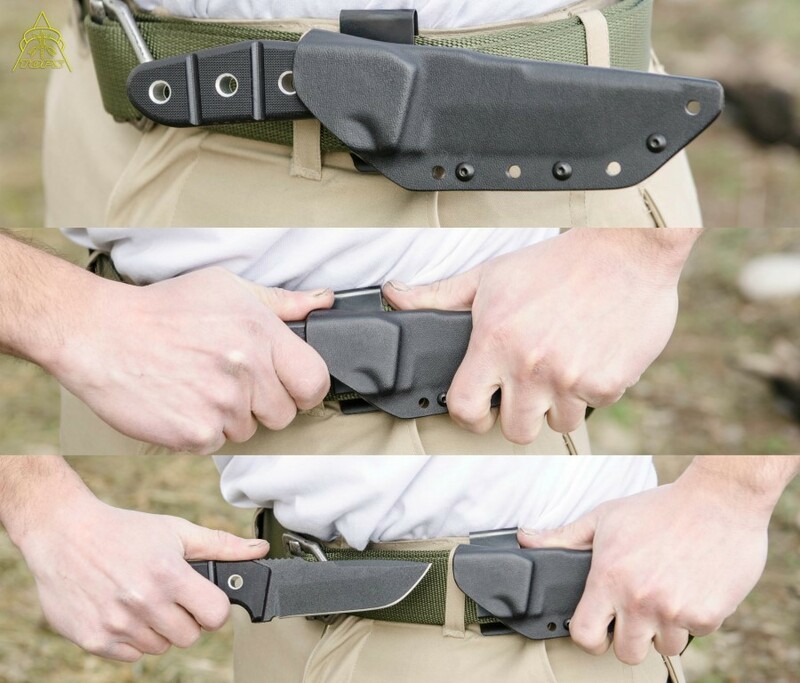 The unsharpened upper swedge allows for maximum penetration. 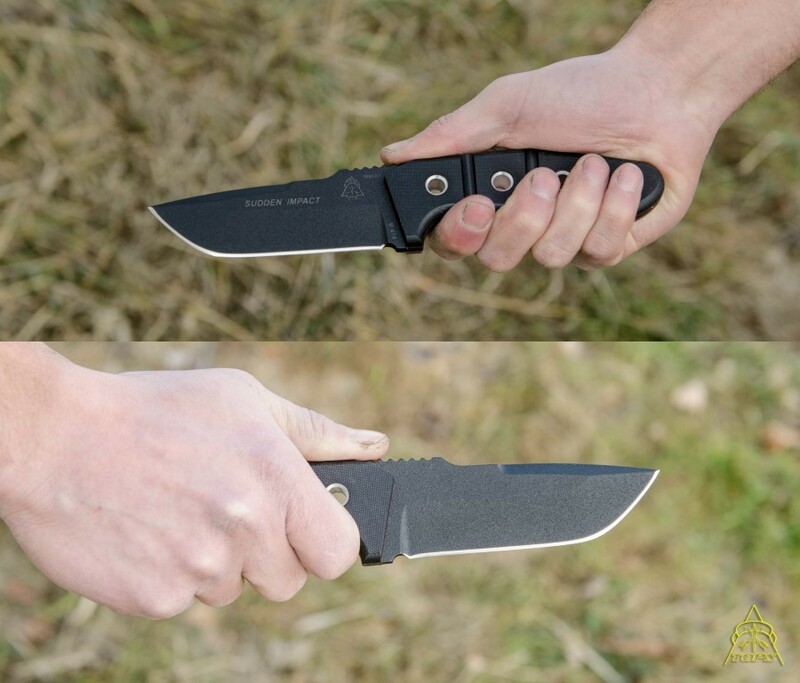 The rounded tanto tip is excellent for slashing, deep cuts. 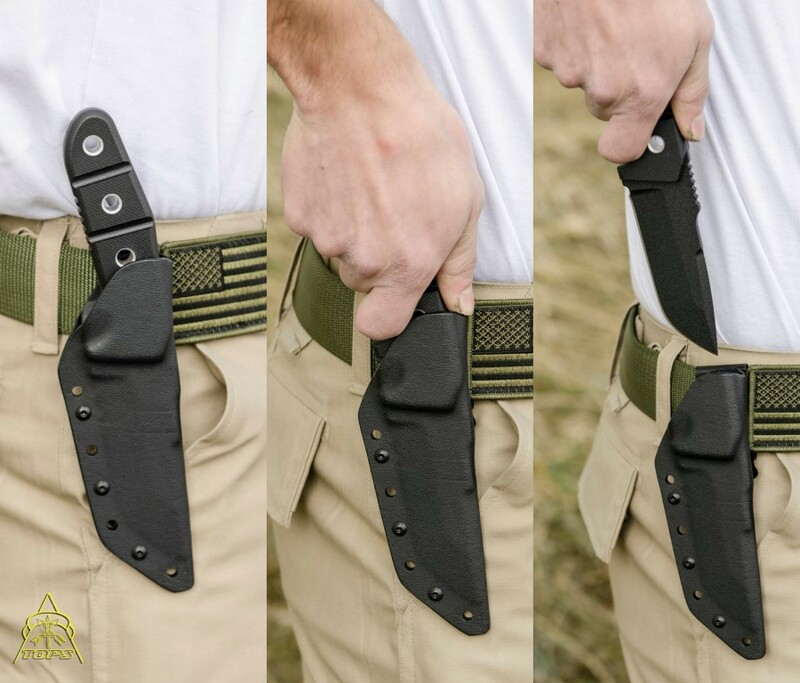 With a handle shaped for total comfort and control, this tool is deadly in the right hands. 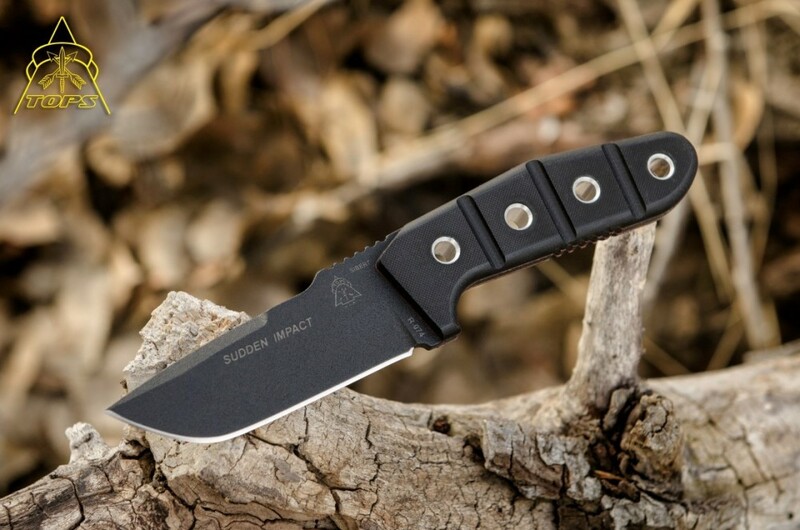 On top of the tactical applications, it also makes a great outdoors/camp knife.